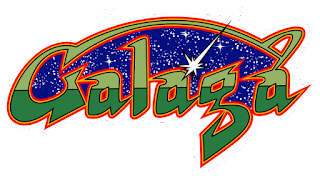 "...the player is in control of a spacecraft situated at the bottom of the screen, with enemy aliens arriving in formation at the beginning of a stage, either trying to destroy, collide with, or capture the spaceship, with the player progressing every time alien forces are vanquished..."
In 2011, the game celebrated its 30th anniversary with the release of "Galaga 30th Collection" for iOS. Emmy Award-winning animation studio ShadowMachine and digital studio The Nuttery Entertainment have joined development on the series, now planned for a 12-episode season. "'Galaga' is one of the games I played growing up", said Orci. "I have fond memories of the quarters and hours upon hours I spent playing the game. I look forward to working with The Nuttery and to capture that magic in an exciting new format..."